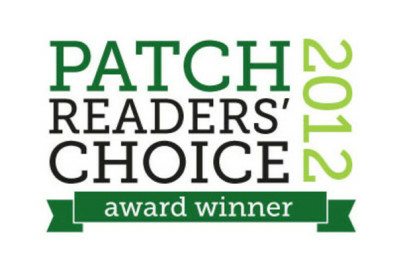 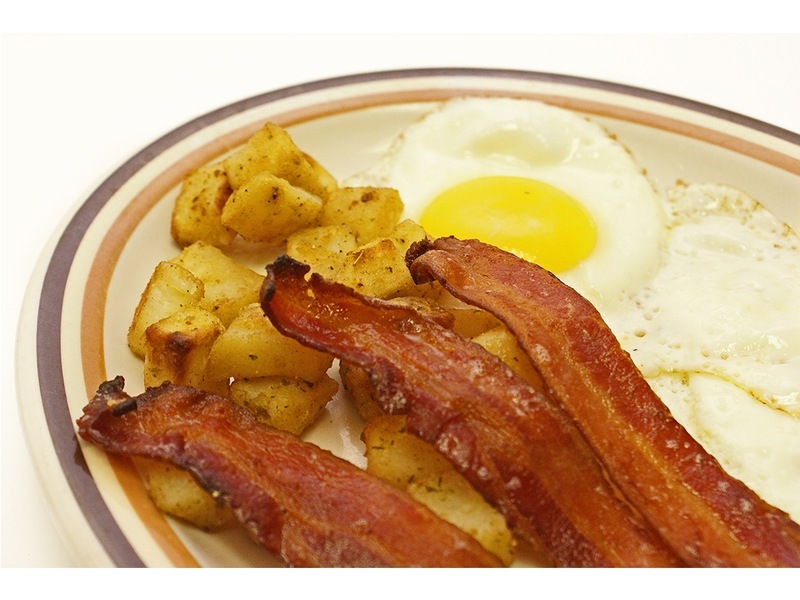 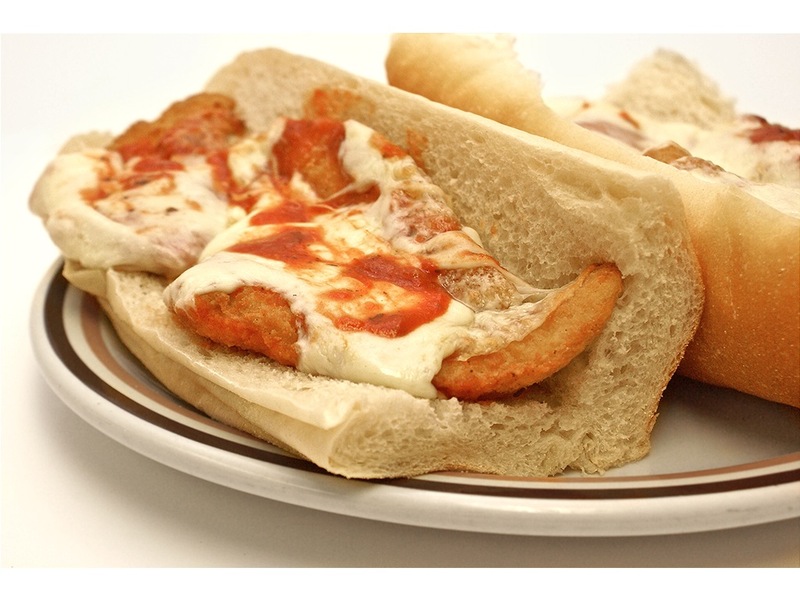 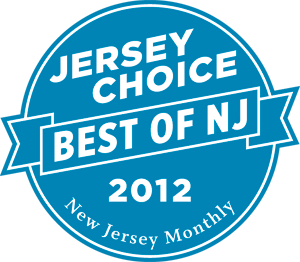 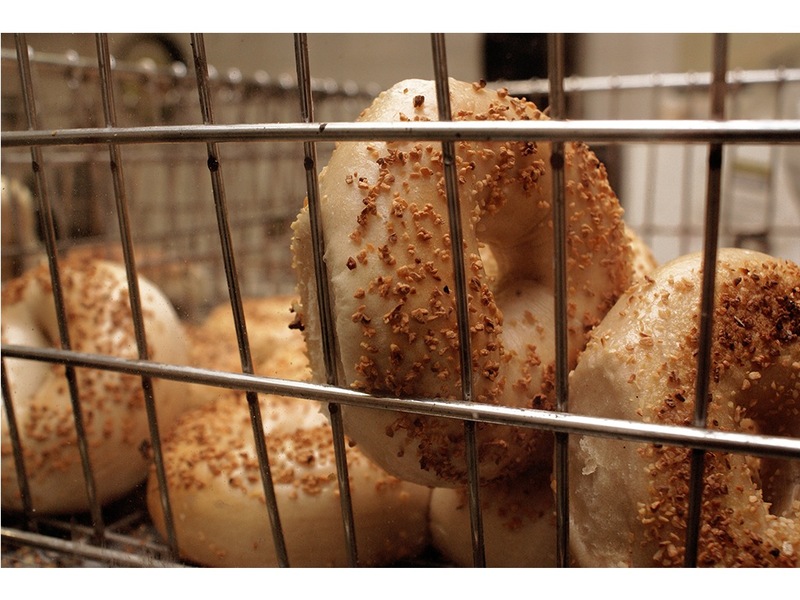 A Westfield institution for over 30 years, The Bagel Chateau prides itself on providing the highest quality food and service in a family friendly environment. 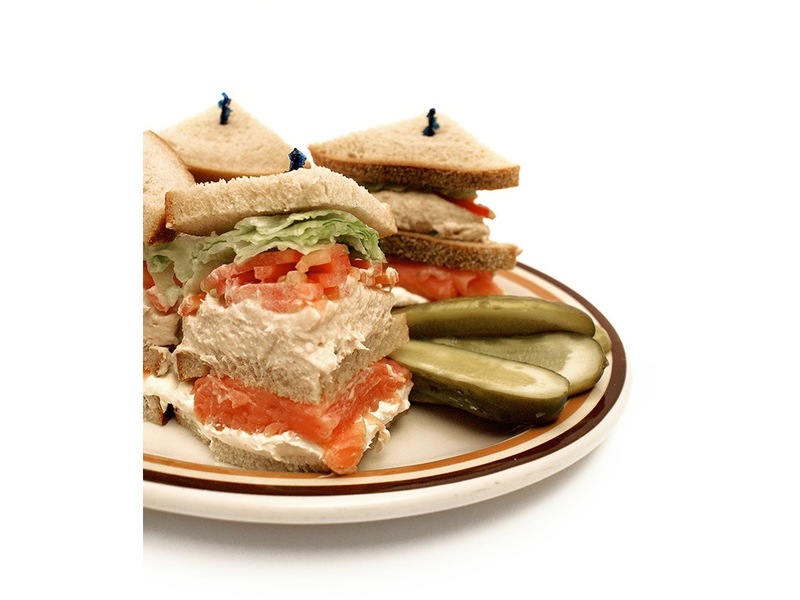 Former “Brooklynites” and current Westfield residents, owners; Scott and Mara Zilberberg took the reins in 2001 and turned a good restaurant into a great one! 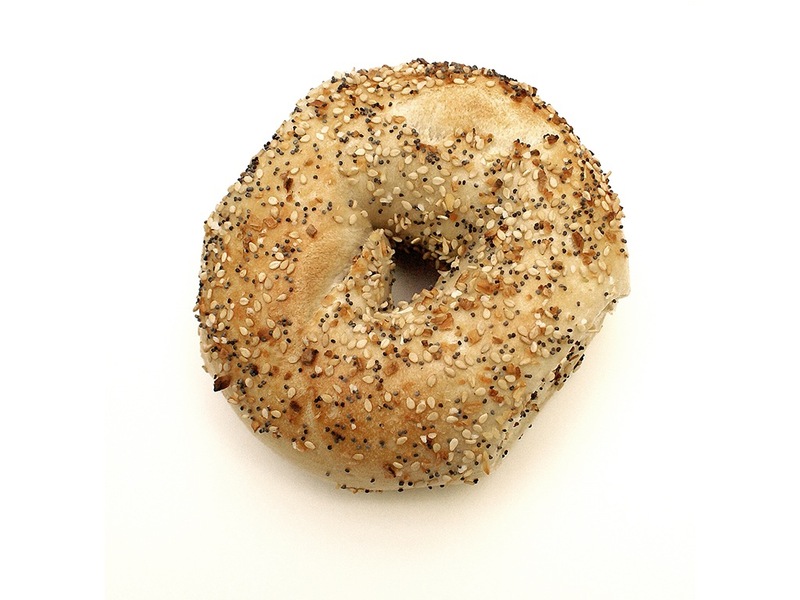 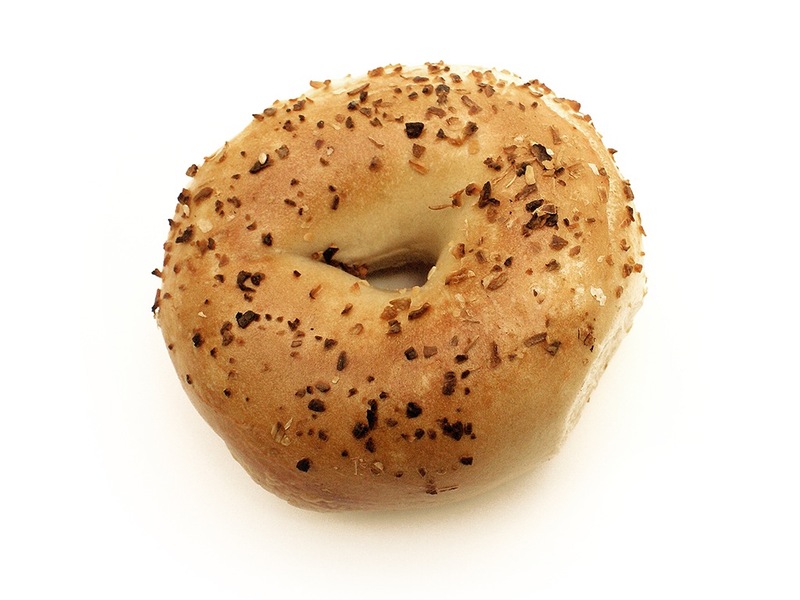 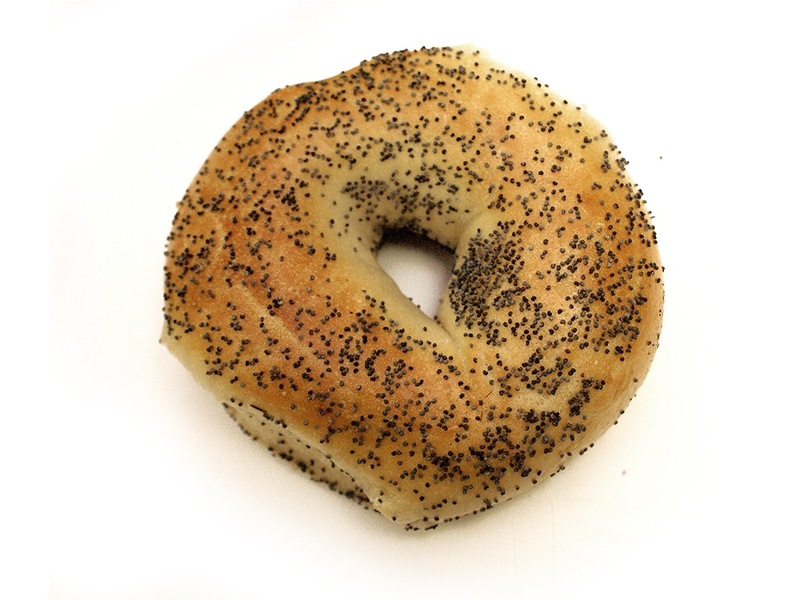 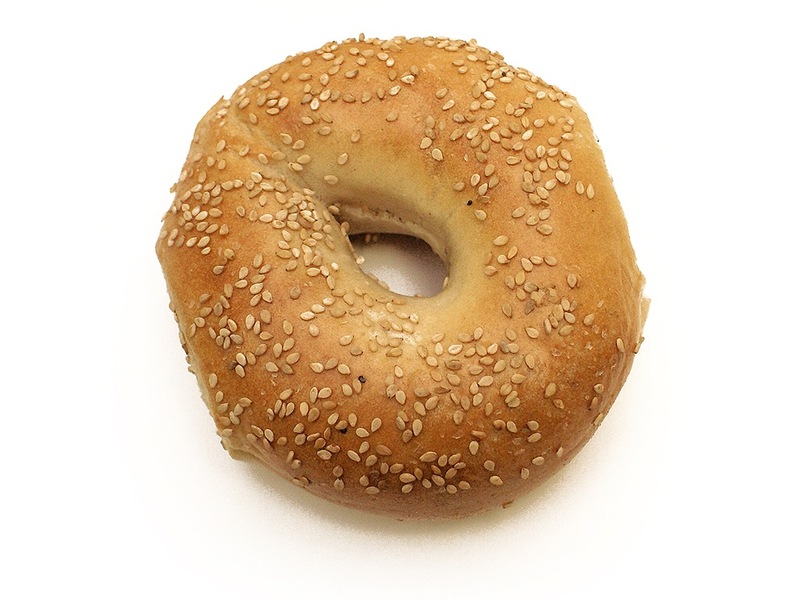 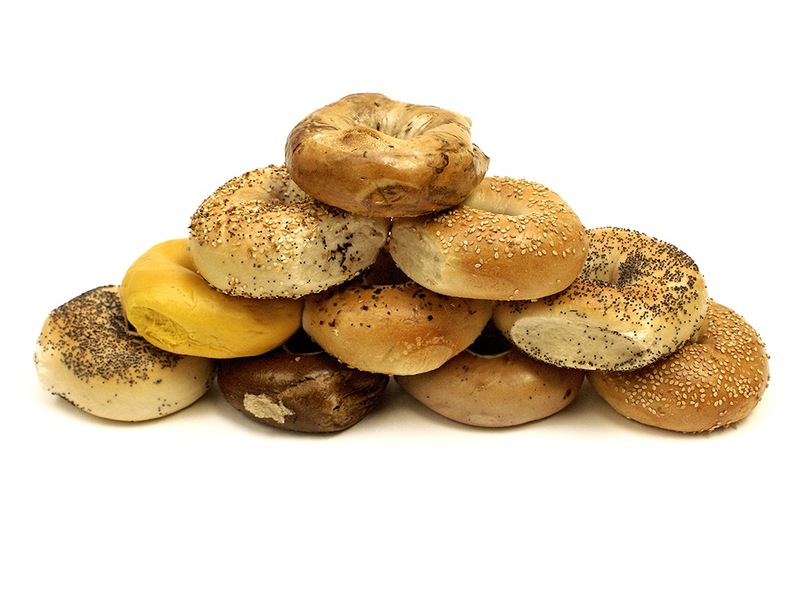 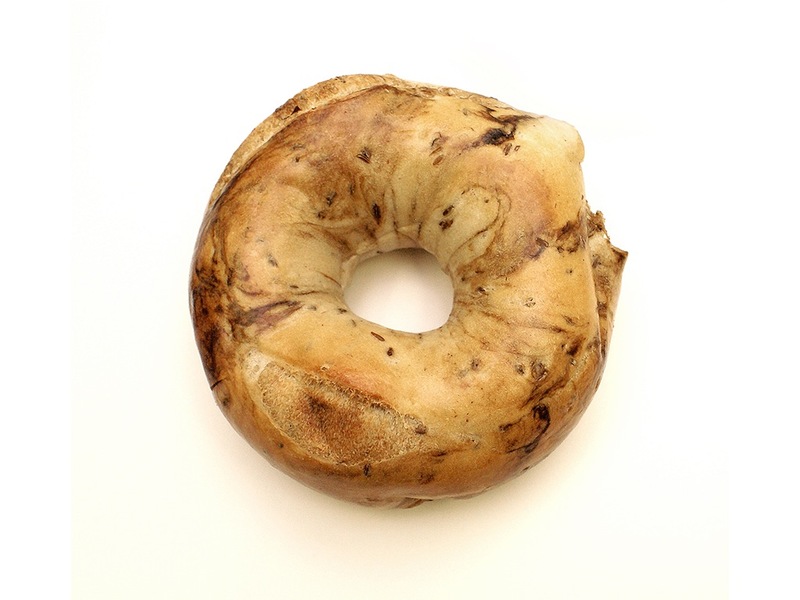 The Bagel Chateau is known for its NY style bagels, baked on premises daily as well as its homemade cream cheese spreads, scrumptious salads, sandwiches and so much more. 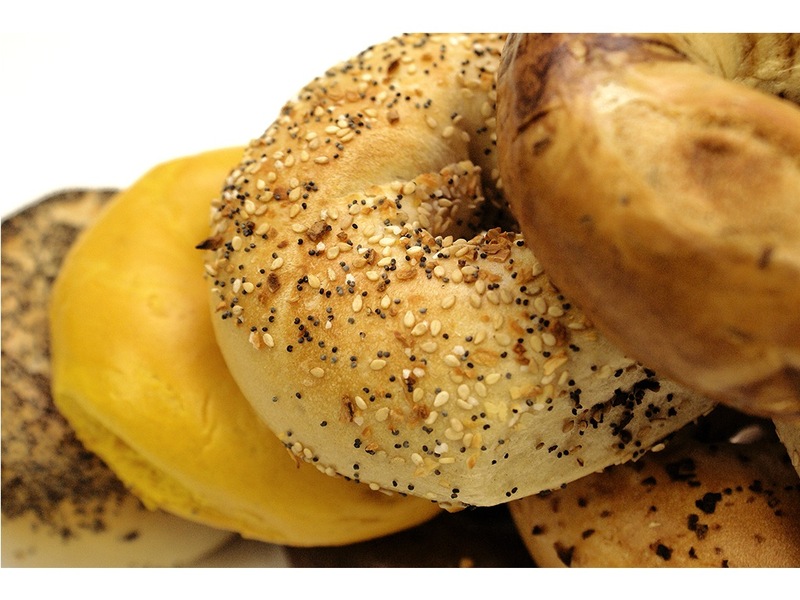 So whether you are enjoying a bagel on the run, a full Sunday brunch or catering your next affair, come visit the knowledgeable, and friendly staff at The Bagel Chateau. 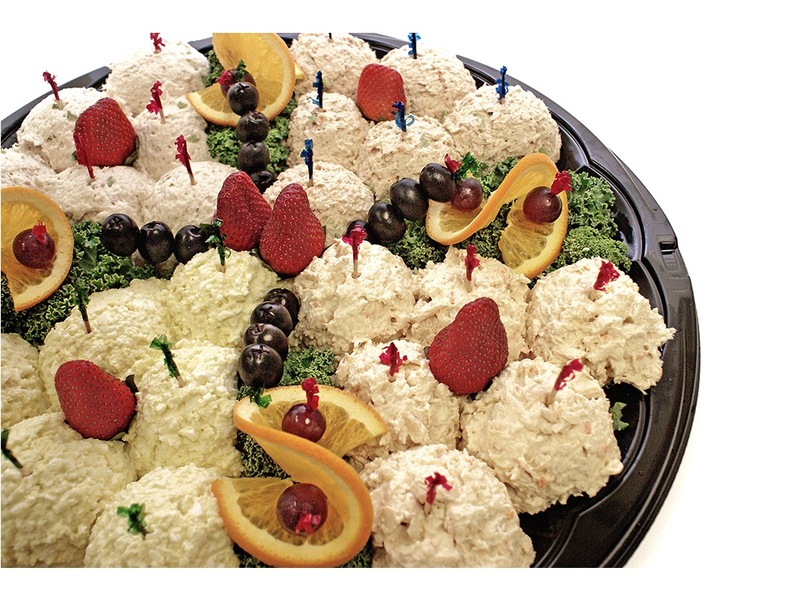 Cream Cheese: Assortment of freshly made cream cheese. 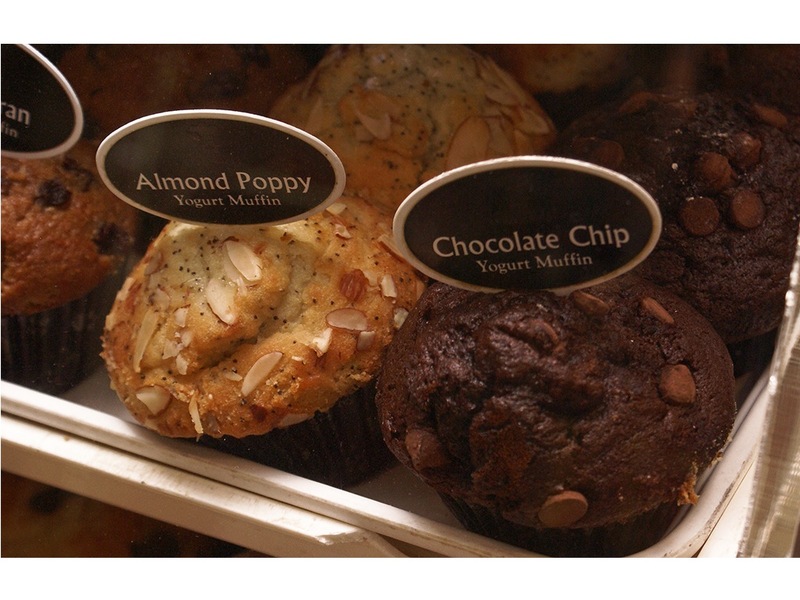 Choose your favorite flavors. 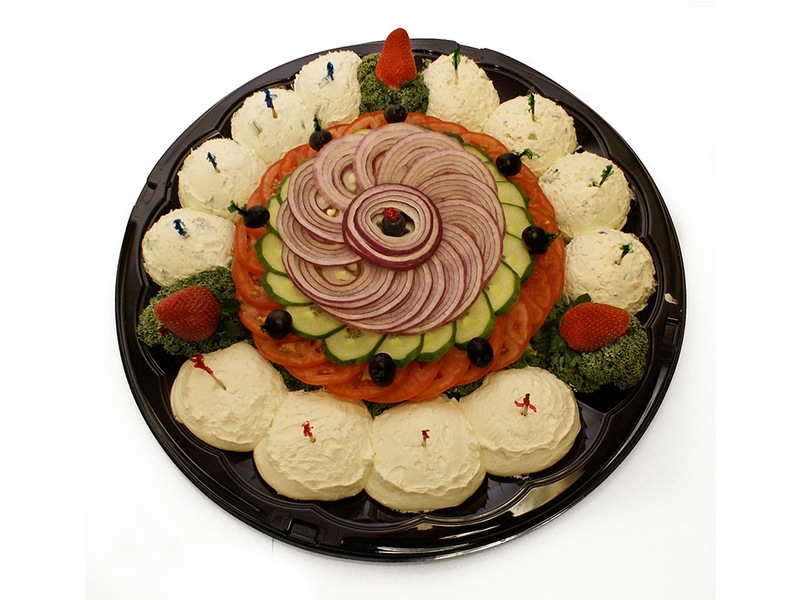 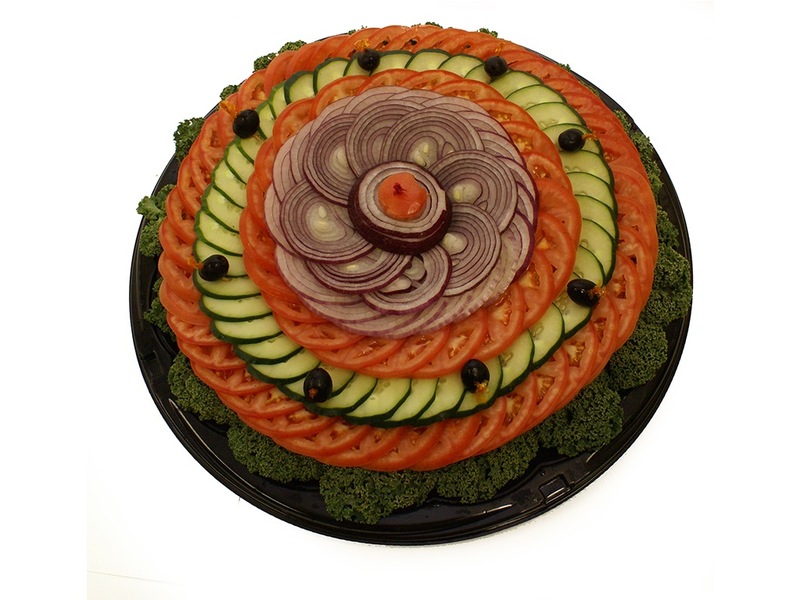 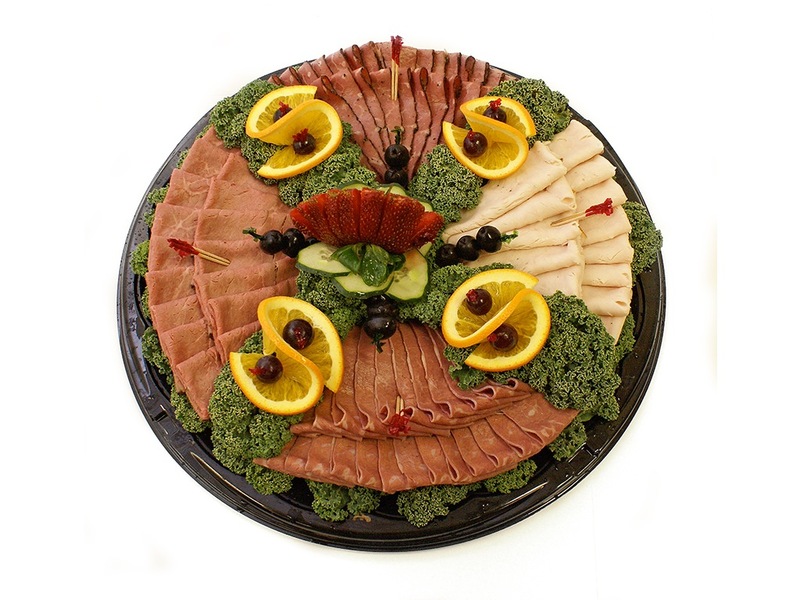 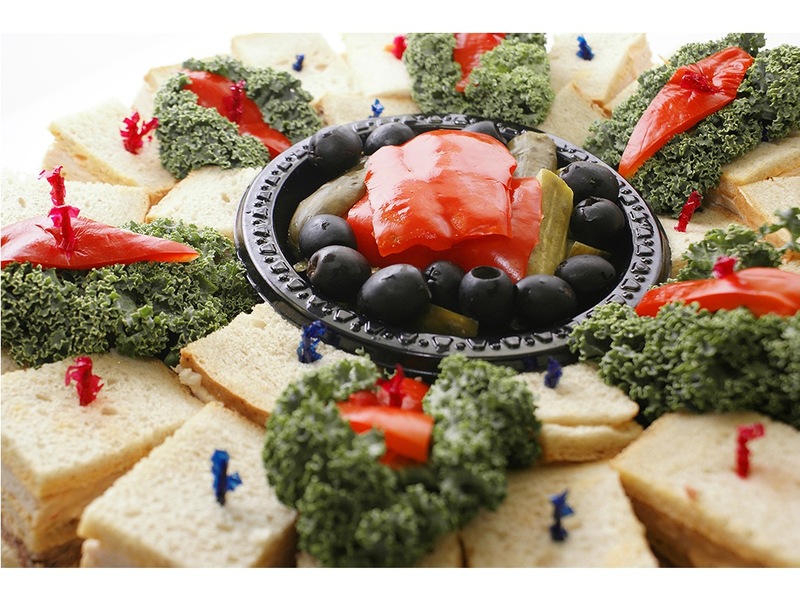 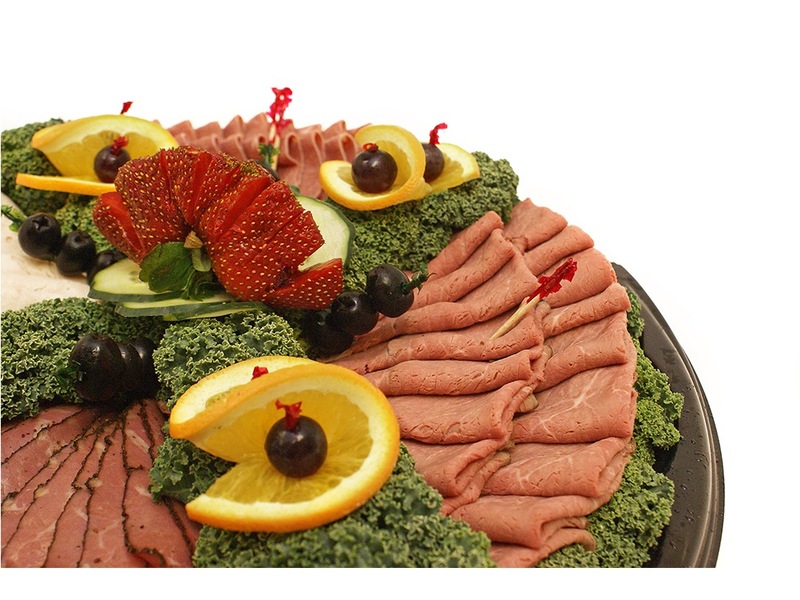 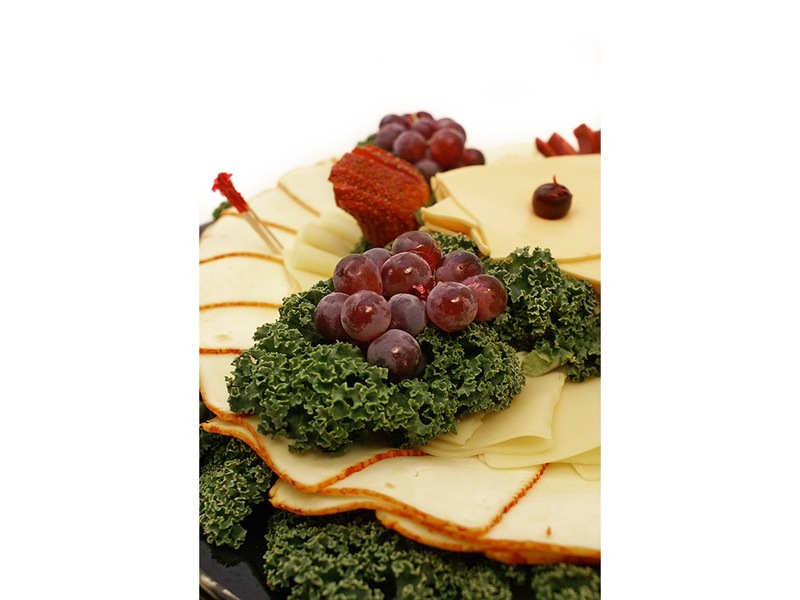 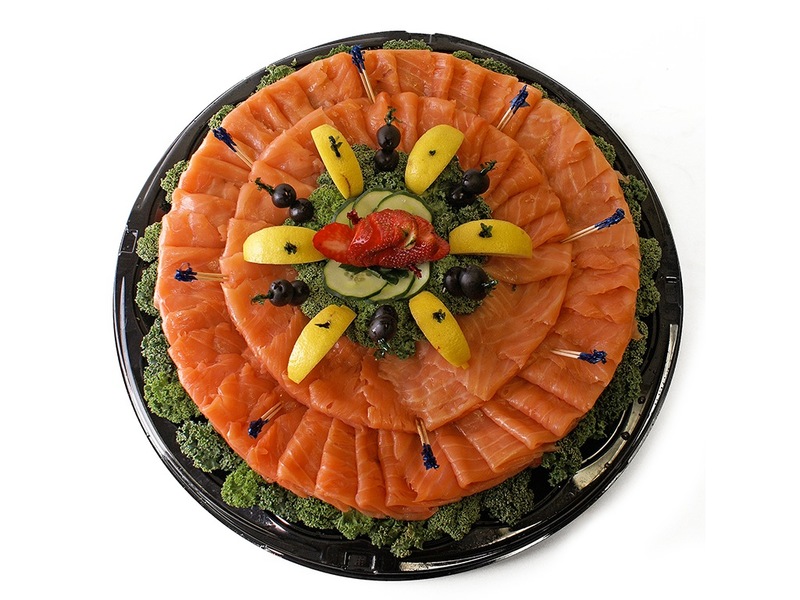 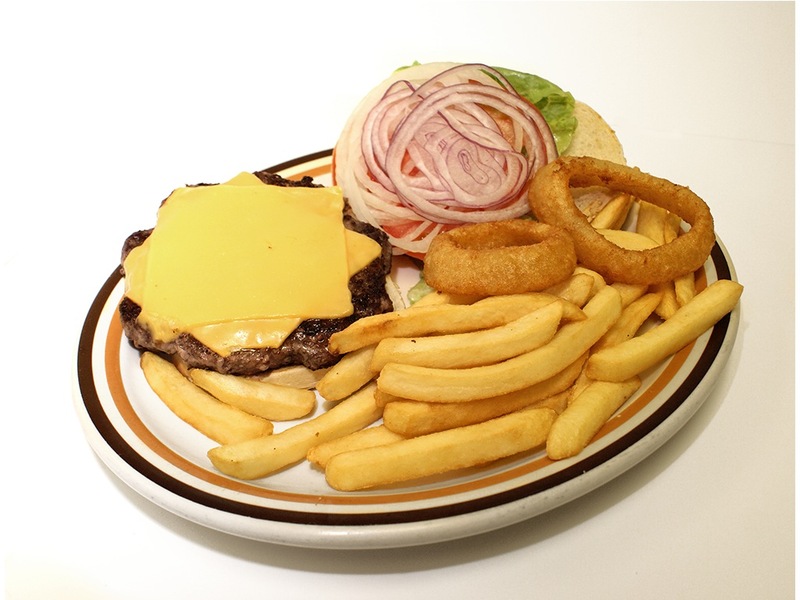 All platters include sliced cheeses: American, Muenster, and Swiss and are beautifully decorated and garnished with tomato, cucumber and onion. 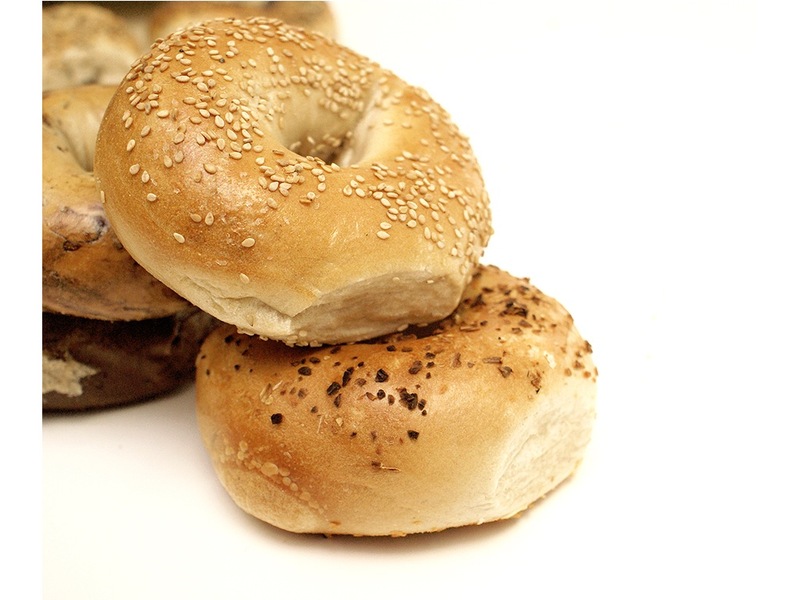 Sliced bagels included. 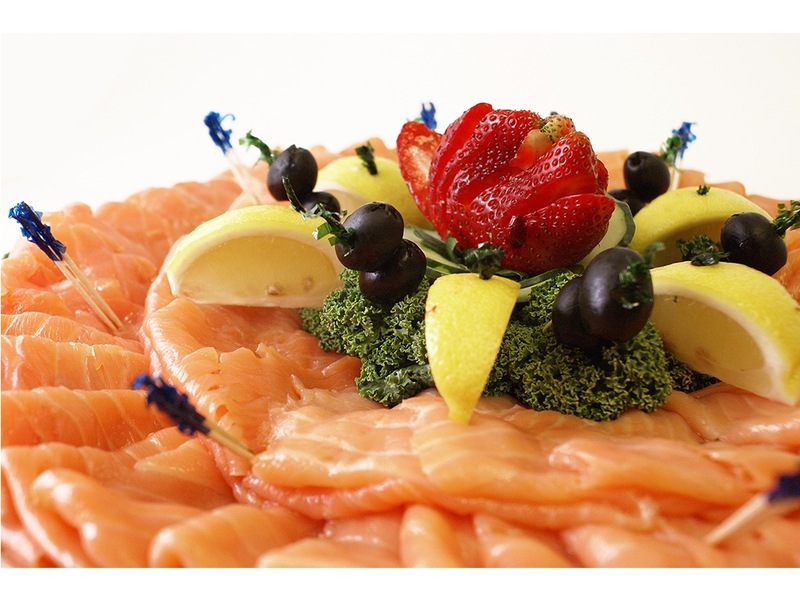 Other combinations of fish and salad are available. 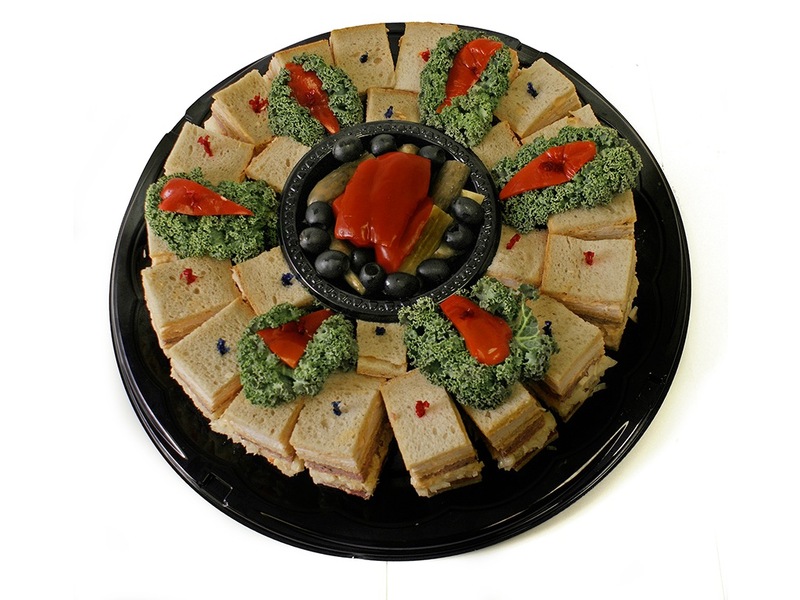 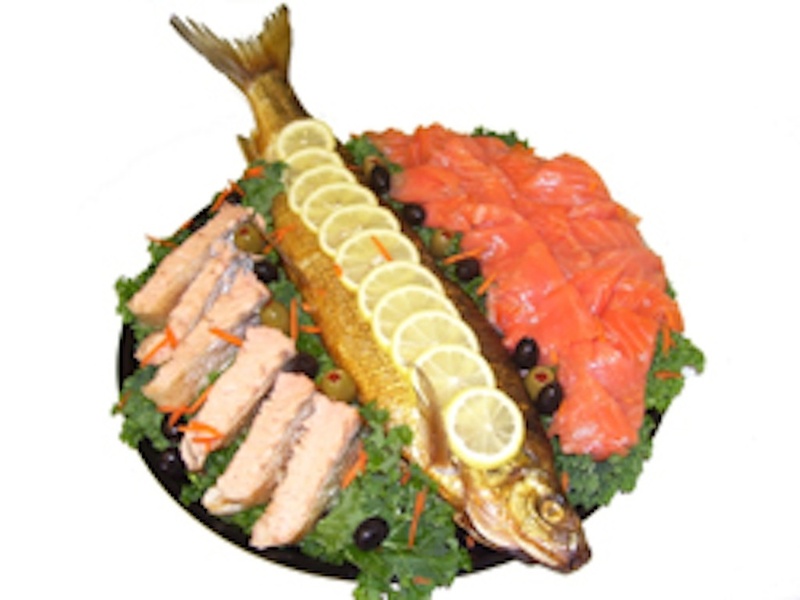 All platters are customizable. 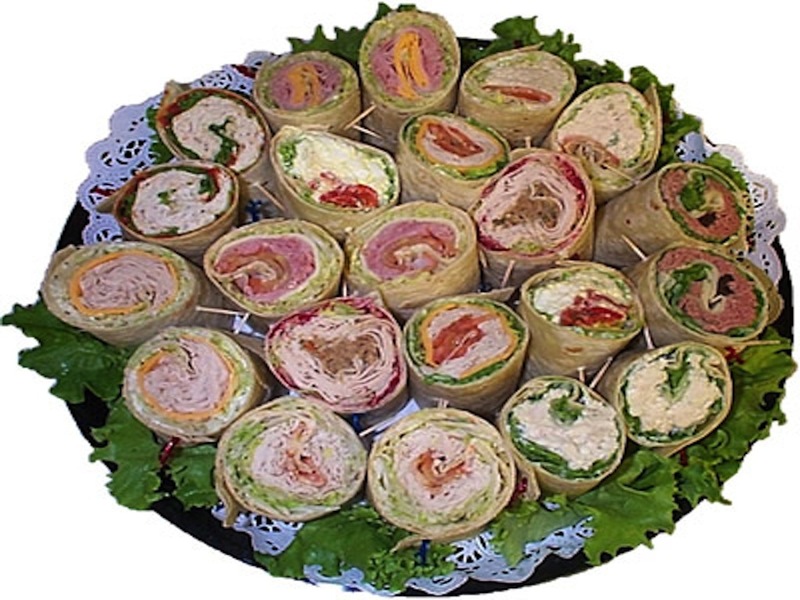 3 or 6 foot hero Served on fresh Italian bread with your choice of meats & cheeses, lettuce, tomato, onions, oil, vinegar, oregano, salt & pepper (feeds 3-4). 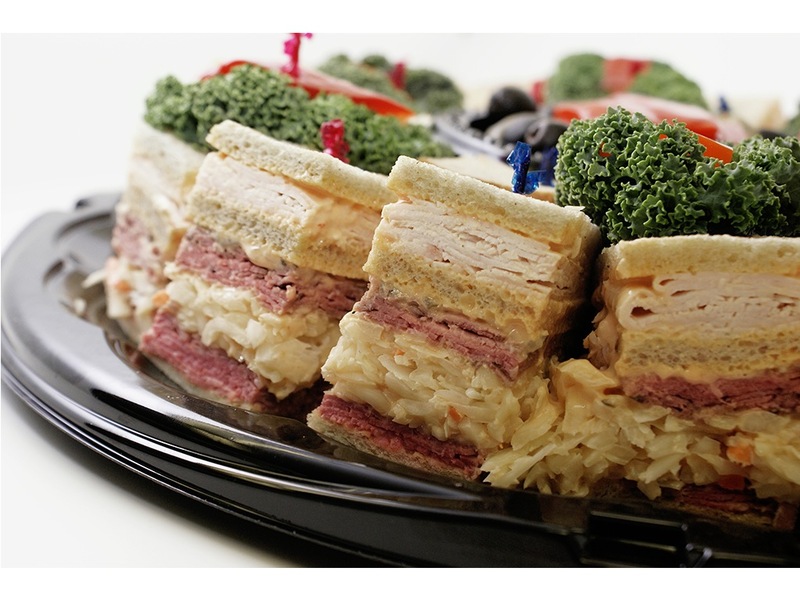 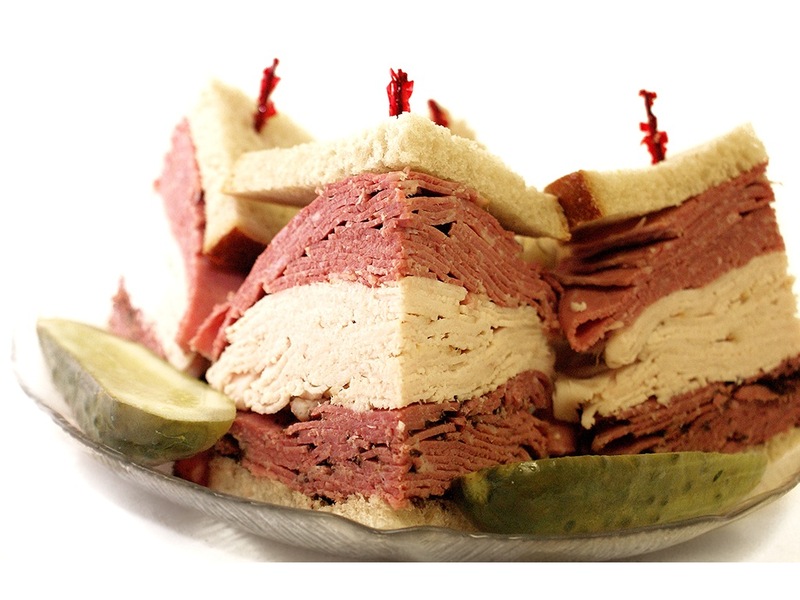 Artfully tiered and decorated platter of bite sized deli sandwiches cole slaw, potato salad, & pickles. 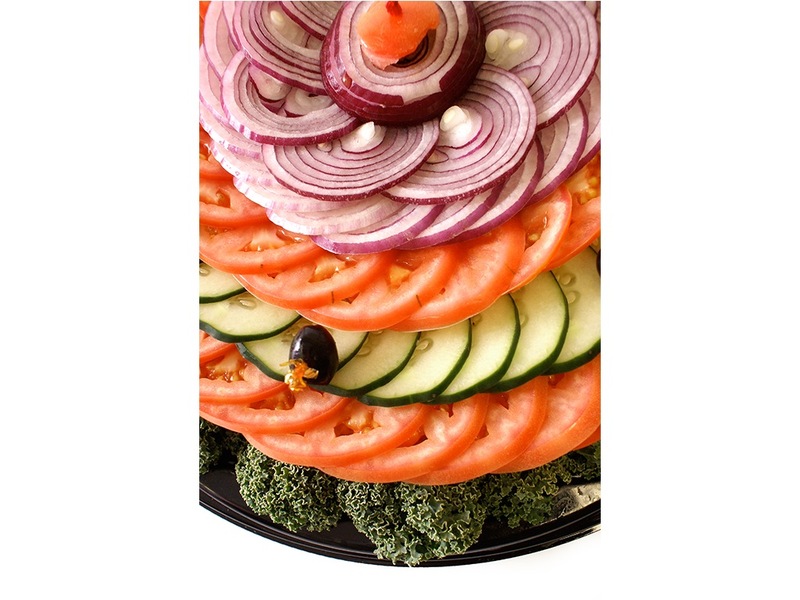 Fresh vegetables including broccoli buds, radish rounds, cauliflower florets, olives, string beans, zucchini strips, carrot sticks, celery, cucumber, pepper wedges, & special house dressing. 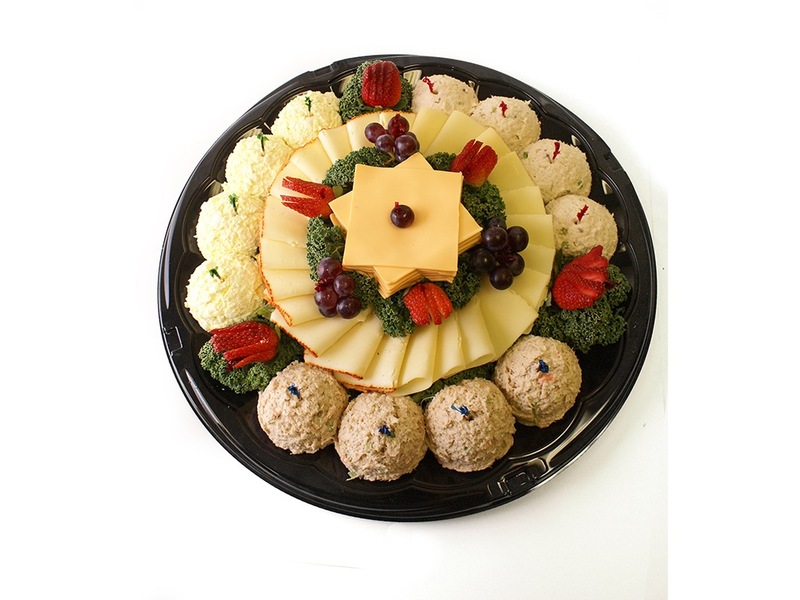 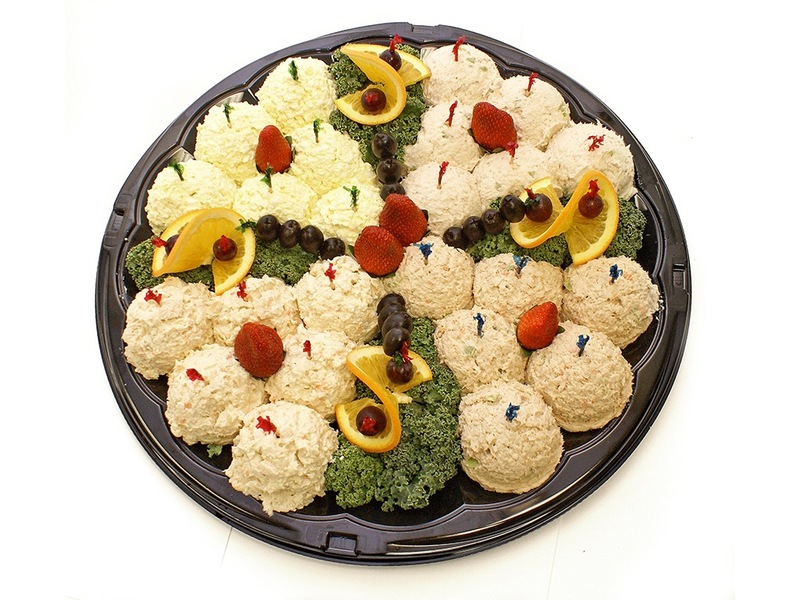 A variety of cream cheeses on beautifully decorated platters with bagels OR Cream cheese & buttered bagel sandwiches on a beautifully decorated platter. 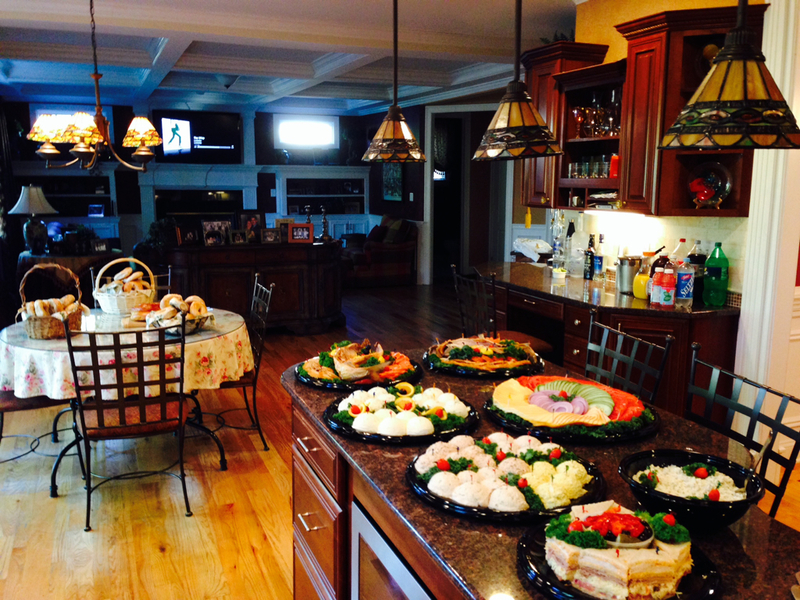 Homemade chicken salad, shrimp salad, tuna salad, light tuna salad, whitefish salad, pasta salad, honey mustard chicken salad, egg salad, egg white mushroom salad, potato salad, cole slaw, macaroni salad. 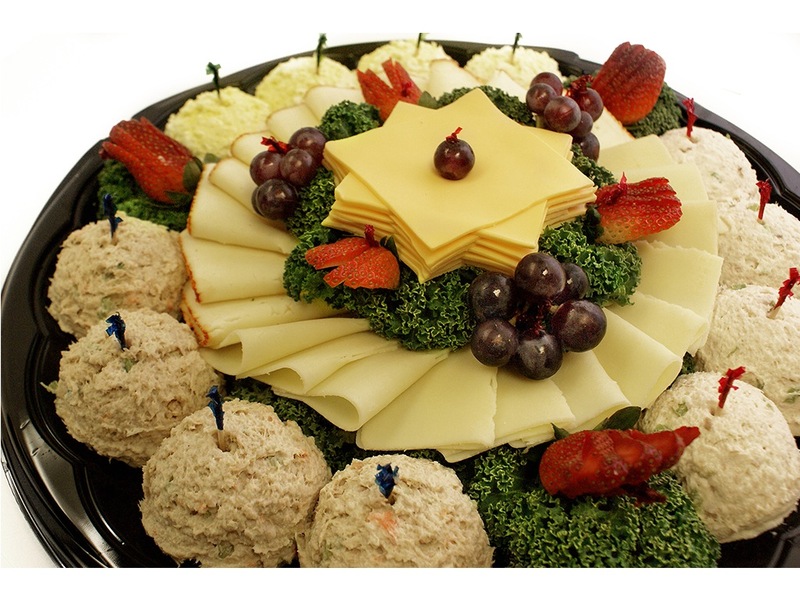 Your choice of an assortment of chunck style or sliced gourmet cheese; beautifully presented with bread and crackers. 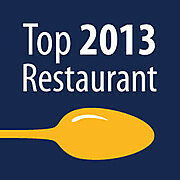 Available throughout the year. 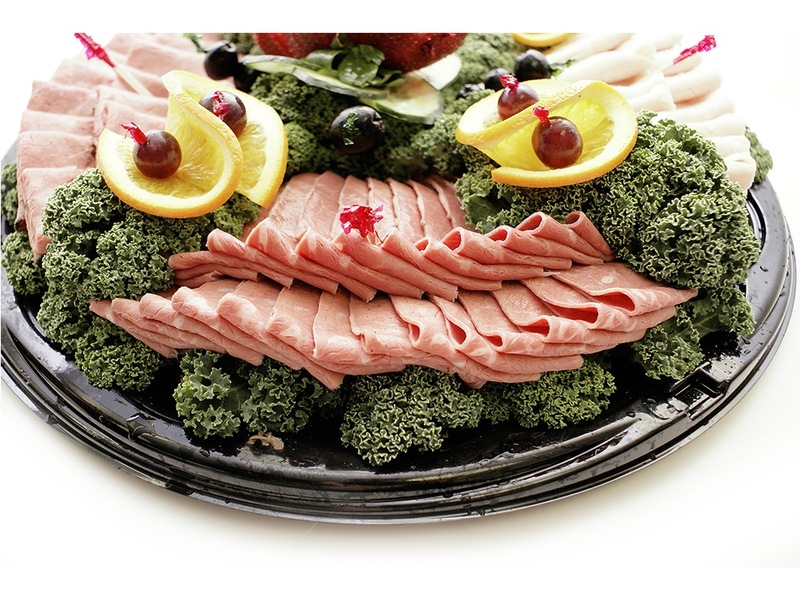 Price is seasonal.